Welcome to Central Oregon! 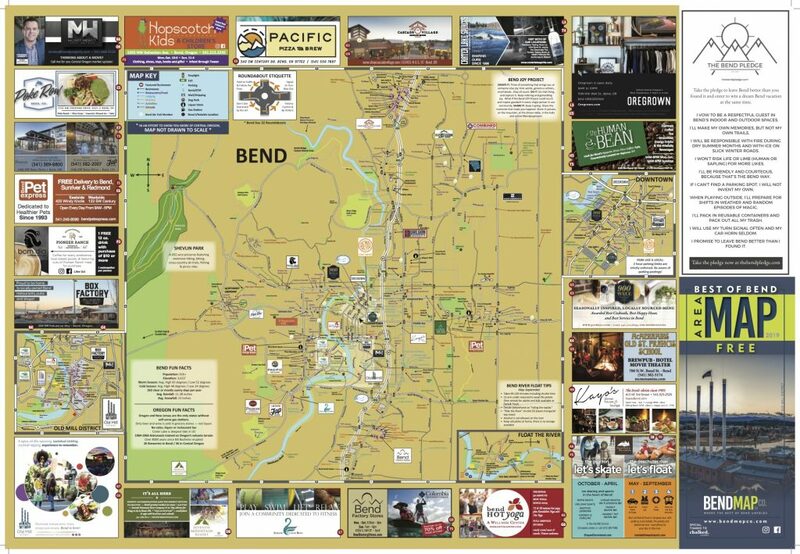 Our Bend Oregon Maps are a great vacation planning resource with a wide variety of Central Oregon’s best local businesses. 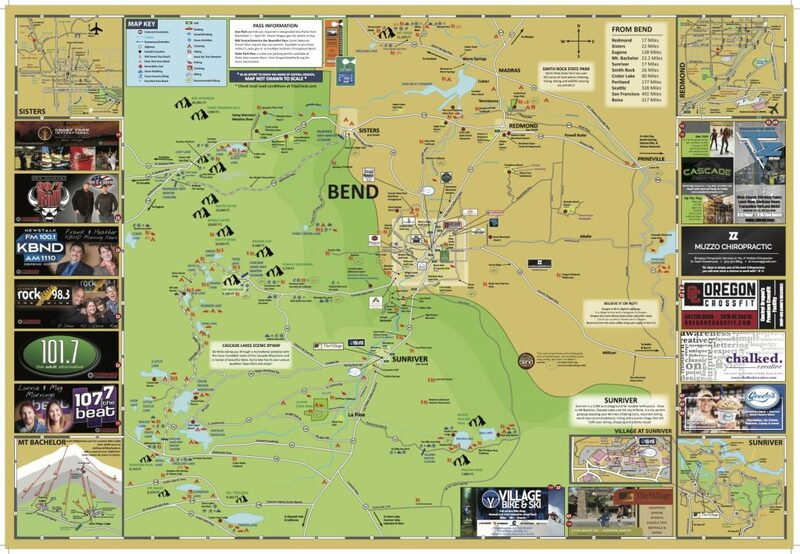 Bend Map Co. provides you with the highest quality Maps of Bend. Your maps will guide you to Bend's Best Shopping, Activities, Golf, Discounts, Services and Places to Eat. Our high quality maps will be easy to read and yet small enough to conveniently keep with you on your entire trip. Many people even take them home as a keepsake from their adventures in and around Bend! This Bend road map provides unique discounts, detail, and locations of Bend's favorite destinations. Order your Free* Bend Map today! LOOKING FOR MAPS FOR YOUR BUSINESS?